Children’s books are more than just fun stories on paper. More often than not they are designed to teach the readers a skill or lesson that will serve them as they grow older and interact more with the world. The key is to make the lesson seem so natural in the story that it gets absorbed without much notice. Diane Mae Robinson does this with Sir Princess Petra’s Mission. The book is the third in a series and the very beginning gives a synopsis of the two prior installments. This is exceptionally beneficial for those who are coming into the tale so far behind. In our story we find Petra, the Princess Knight, who has been given a mission by her not-to-pleased father. As is the case with many books where young women strive to be outside the ‘ordinary’, Petra’s father is displeased at the fact she is a knight. He charges her with a mission that he desperately hopes she will fail in an attempt to conform her to his views. The language is very fun and easy to read. There are several pictures throughout the story which give a great addition to the words. It is always fun for readers to have an idea of what the author intended when they describe something and this is a welcomed bonus for young readers who are possibly reading for pleasure for the first time. The text is simple enough for children yet interesting enough for adults to actually be engaged with what they are reading with or to their children. Petra is a strong female character who has a desire to live her life the way she wants. Much to the chagrin of her father this means being a knight and going on knightly adventures. This means no pink frilly dresses and no classes on how to faint properly. The story of the young girl going against expectations has been around for quite some time, but Petra truly needs no saving by anyone. She is not a trapped princess who needs help getting out of the tower or the princess who tries to fight a dragon but needs help from a male. Petra takes every task head-on and does her best to deliver results with her own hands. Even when she is faced with a difficult question or situation, she does her very best to think about what the right answer in her heart would be. It’s truly sad that Petra’s father can’t be excited for his daughter and proud of everything she has done for the kingdom. How many princesses subdue a snarling dragon, only to become allies with them? Not many, even in the realm of children’s books. Sir Princess Petra’s Mission is no different in that her father hands out an impossible task, yet when she does her best to achieve her mission and strives to straighten out some incorrect information on the way, her father’s response is less than delightful. 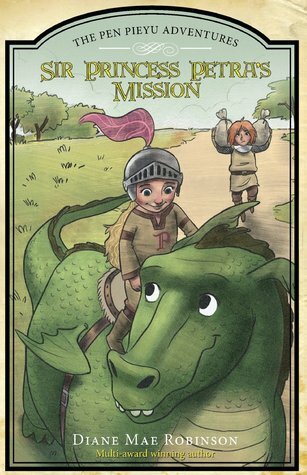 Robinson weaves a wonderful tale of adventure and excitement that any boy or girl could love. With an underlying message that doesn’t scream from within the pages all readers, adults too, are sure to come away with the desire to emulate Petra’s wonderful tenacity; even if only for a while. At first glance, Chicken: A Comic Cat Memoir by Terese Jungle is, on the surface, a children’s picture book about a woman and her cat. 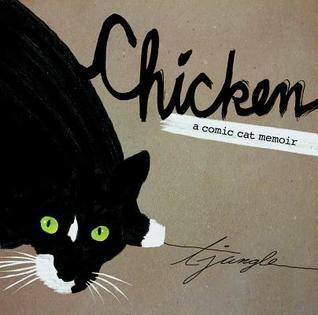 It’s a memoir of the author’s life as well as a beautiful memory of her cat, Chicken. But it’s also a book adult readers will enjoy not only for the delightful art but also for the greater story of TJ’s life. I’m a reader who enjoys graphic novels, and the further I got into the story, the more I realized this was more than just a children’s book. The art, the words, and the doodle-like notes in the margins are where TJ celebrates her journey as an artist and a friend to many other creative people. TJ grew up allergic to cats, but over time, the allergy faded. Now an adult, she dreams of a tuxedo cat with bright green eyes and when she can’t find the cat at the local shelter, her friend Mimi announces that the cat must be looking for her. Of course, the cat finds TJ and they are a perfect fit for each other. The cat, named Chicken, follows TJ on her journey through life, sometimes at her side and sometimes in the care of others. But, like all pets, Chicken’s life comes to an end, and TJ and her daughter have to deal with it. 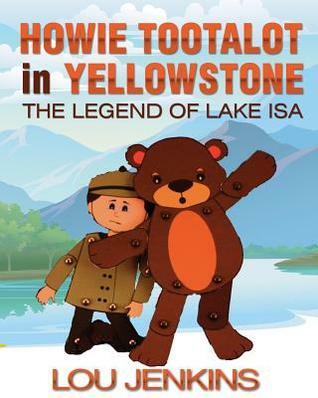 It’s a beautiful, tenderly told story that’s appropriate for both children and adults. I can see why the author calls this, “A great book to read to cats (and kids).” The illustrations are delightful, even child-like. The book would be a good way to help young children talk about their feelings about the loss of a beloved pet. But if you pay attention to all the little doodles, background decoration and the notes scattered throughout the illustrations, there’s a second story brewing that’s just for adults. Look carefully, there are little gems buried in the details of the illustrations! TJ’s story is woven into the pictures, including multiple moves, hinting at the unsettled lifestyle of an artist and student. There are also cat fights, both feline and human, with one side note, “They didn’t stay friends for long” that will make any cat-lover snicker with recognition. The author also takes great care to include the people who were important to her life in the illustrations. At the end, there’s a listing of notes (marked with asterisks in the story) that give a little more insight into the people, artwork, cat behavior and poetry that appear in the book. I recommend this for parents to read to their children, but be warned. If you are a “cat person” read it through the first time by yourself because (as they say on the internet) it will hit you right in the feels.